It’s amazing! Furious 7 has held on to its spot for a month now as the top grossing movie. People really do love their action. Obviously number 8 is going to be underway shortly if a movie this far into the series can rake in all that money. Let’s hope that’s not the same case for Paul Blart Mall Cop, since number 2 is also still in number 2 this week. And Last week’s timeless romance Age of Adeline claimed number 3. But that’s all old news, here’s what’s out this week. 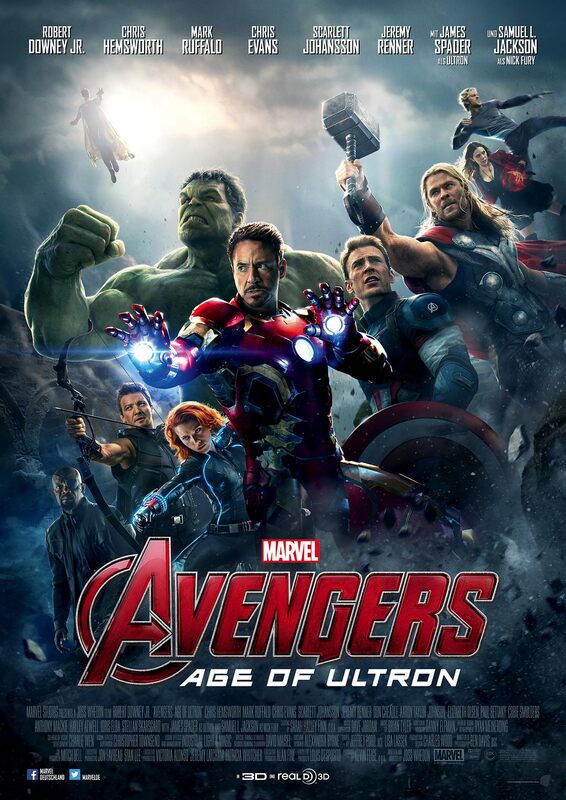 The Avengers: Age of Ultron is some little foreign movie you wouldn’t have heard about. It’s hardly opening in any theaters around the globe so it’s barely worth mentioning… kidding! It’s only the second most anticipated movie of the year. You all know what’s number one, don’t fight me on that. I will say, I’m not an Avengers fan, the lone wolf in this world I think, so it’s pointless for me to tell you about it. You’re all waiting in line to see it already anyways. Just keep in mind Rotten Tomatoes has already given it a 72 percent. Welcome to Me is one I can get behind. Sadly, it probably won’t be in your small town theater, but if you know about it and eagerly wait for a DVD release, I think that’s fair. Just listen to this premise. Kristen Wiig plays a real life woman who won the lottery, quit her medication for borderline personality disorder, and bought her own talk show! It’s all true and it looks fantastic. It’s a comedy-drama that debuted at festivals last year, and its Will Ferrell produced! Rotten Tomatoes say 83 percent. I personally can’t wait. Helen Hunt stars in and directs Ride, a comedy-drama co-starring Luke Wilson about a single Mother who moves to California to be with her son and live a surfing beach filled lifestyle. Doesn’t seem to be very earth-shattering, but if you’re looking for a low budget spiritually uplifting film or you’re like me and actually like Helen Hunt, check it out. Rotten Tomatoes say 83 percent as well. If none of those sound good, which I doubt, there is also Far From the Maddening Crowd that has Carey Mulligan returning to her routes in a British Victorian era period picture. If you read The 100 Year Old Man Who Climbed Out the Window and Disappeared, the film version finally gets a limited theatrical release. And good old Viggo Mortensen still rocking foreign language films stars in the French Albert Camus adaptation of Far From Men. That’s what’s playing for the week of May 1st, happy movie watching. Find something useful to put here. Seriously, I need to find something to fill this space with. Otherwise it just sits blank. Feel free to contact us for anything Goombas, gaming, or otherwise related! We'd appreciate hearing from ya!